by Niall Douglas. Last updated 2009-06-22 00:00:00 +0000 UTC . This page has been accessed 25,822 times since the 22nd June 2009. [June 2009] Having recently been made redundant and facing a long spell of unemployment (and heavily backlogged welfare payments - some eighteen weeks in Cork now ), I recently needed to draft my own legal documents with which to start a company in Ireland because I couldn't afford the services of a solicitor (typically around €1000 a go) or a company formation firm (typically around €300 a go). To save anyone else the time and hassle of drawing together their own legal documents and duplicating my work, I place my documents here. I hope that it enables you to also form a company cheap and let's get ourselves out of recession! BEAR IN MIND that the forthcoming Companies Bill 2009 will radically overhaul company legislation in Ireland, making company law here much more similar to elsewhere in English Common Law jurisdictions so after this bill is passed much of the verbiage of the Memorandum of Association and Articles of Association below will no longer be necessary. In particular, much of the waffly crap in specifying subsidiary objects and every conceivable power can be done away with under more modern legislation with the simple object of "general commercial activity" and "all powers deemed necessary to achieve this object". Probably by the time you read this much of the below will no longer be necessary - if in doubt consult a solicitor. WARNING: I AM NOT A LAWYER AND HAVE NO LEGAL TRAINING. As far as I am aware these documents are good to go and your company or charity will be fine using them - however I BEAR NO RESPONSIBILITY for any consequences of using or not using these documents. They were provided to you for free - so no warranties! And don't ask me questions about company formation - I DON'T KNOW! I had need to set up two companies, one which is profit-making called "ned Productions" and the other is a non-profit charity called "The Freeing Growth Foundation" which complies with Irish Inland Revenue charity requirements (which are unusually lax by international standards - basically it complies if it can't generate any direct profits for its Directors or Shareholders). I have modernised the standard Memoranda and Articles as specified by Table B of the 1963 Companies Act by including provision for single person companies as enabled by The European Communities (Single-Member Private Limited Companies) Regulations, 1994, by dispensing with the need for Annual General Meetings and Director rotation when the company is single member. Remember for a charity that a Director cannot be employed by the charity, so you can't appoint yourself (the only shareholder) as a Director if you want to be paid expenses or a wage. Charities also need a minimum of three Directors whereas profit-making companies require just two Directors (though three is better and makes other things like attaining quorum and signing cheques easier). I have no idea if a single person company limited by shares can be a charity - usually charities are Companies not having Share Capital Limited by Guarantee which requires a minimum of seven members - but I see no reason why a charity can't be an IT contractor who performs a beneficial community service. The tax benefits of a charity are immense - one is exempted from almost every taxable event - and if you do any form of work whatsoever for which you don't get directly paid (e.g. open source software development), even if you are indirectly paid for providing extended services (e.g. consulting, support) upon that work through a separate profit making company, then billing that voluntary "community serving" work to the charity can be very tax advantageous. For example computer software and hardware is now VAT free which saves you 21.5% on purchasing costs, you can pay yourself reasonable expenses such as food and travel costs, and you can provide yourself with a pension from the charity ... but I am not an accountant, so consult one of those for further information. Another very useful use for a charity is as a separate pension fund holding company which prevents your pension becoming liable to primary company failure whilst also legally avoiding lots of tax and also investing for the public good in your own pet causes - again, consult an accountant. For more information on setting up a business in Ireland, read the citizensinformation.ie page on setting up a business or consult BASIS. Generally speaking you need to fill in Form A1 in full (making sure to write N/A in any unused sections), attach the registration fee of €100 + €1 P&P and one of the Memoranda below modified to fit your company, and find a practising solicitor, notary public, peace commissioner or commissioner of oaths to sign it (look in the Yellow Pages). If all your papers are ready to go, most solicitors will charge you no more than €50 for the signing rather than the €1000 or so for drafting the papers. MAKE SURE you run through the CRO's list of common reasons for application refusal (Information Leaflet No. 21) before submission! In particular, certain parts of the Memoranda MUST be hand written and not electronically printed! Just take one of these below and change the company name and its primary object(s), making SURE not to exceed forty words and making very sure that your main object directly refers to your NACE category (otherwise the CRO will reject the application) e.g. as ned Productions' NACE category is software consultancy and supply, its main object needs to mention software. If as with the Freeing Growth Foundation forty words isn't enough, you need to specify subsidiary objects and MAKE SURE they cover every conceivable possibility (even if you will never use them) or you could end up in court for exceeding your powers one day. In particular charities tend to need much tighter objects than profit-making companies if they are to be permitted. 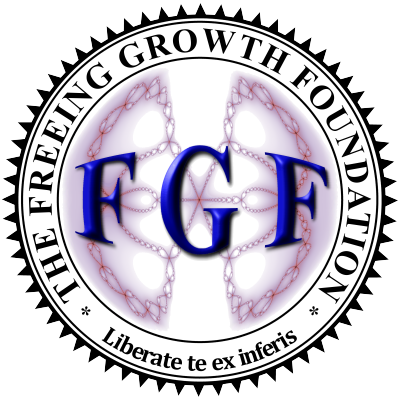 Memoranda and Articles of Association for the charitable non-profit making private company "The Freeing Growth Foundation" limited by shares: [Word 2007] [PDF]. Make sure you don't use the postfix "Limited" or "Teoranta" in these documents and also supply a G5 form (which costs an additional €15). You will also need a "company seal" similar to the one on the left under Irish Company Law. I found it easiest to make yourself a company logo first (make sure it's hires and prints well on a black & white printer first!) and simply to squeeze that into a seal using a "Geometric Circle" deform effect. There are a lot of companies on the internet who will charge you serious bucks for designing a company seal - I even saw a piece of software for designing seals which cost US$50! Such expense is completely unnecessary - I designed the seal on the right using an ancient (2002) graphics program called "Paint Shop Pro v7" which was still more than capable of rendering very high quality anti-aliased alpha-transparency vector images and you can find my seal template file here so you don't even have to do most of the seal graphic yourself. One can find fully licensed copies of PSP7 on the internet if you look hard enough - it was distributed as a freebie on the cover disc of some PC magazine a few years back. I hope that you find these materials useful - if you can afford the few hundred euro, a reputable company formation service (just search google) is probably worth it - it has taken me several weeks of effort to form these companies (mostly ploughing through the statute books, no fun, and bouncing editions between me and the CRO fixing mistakes in the applications which is very time consuming) and assuming that your time is worth €25/hour then it isn't worth the hassle when you could be busy teaching yourself an accounting package instead - see below. Forming a company cheap is one thing - running it cheap is quite another. Firstly you can remove the need for regularly employing an accountant by teaching yourself how to use a small business accounting package, then using that religiously and submitting its annual accounts output to the Irish Inland Revenue's Electronic Submission Service. This alone will save you thousands of euro in fees a year, plus it gives you direct control over your own accounts which is a very good thing as it helps you to self-optimise your behaviour in a maximally tax advantageous way. Remember to always max out your tax free allowances including expenses, the earnings of your partner and children and their pension contribution entitlements! There are LOTS of small business accounting packages: the two biggest are Sage and QuickBooks. Both are not cheap (and their cheap introductory versions are so castrated as to be useless so don't waste your money), so I'm not going to recommend them - instead I recommend Microsoft Office Accounting 2009 Express (UK version) which is free even though it fully supports VAT accrual accounting which is probably the most time-consuming part of running your business' accounts. You'll need to hack it to use Euros instead of Sterling, and you'll need to change its VAT rates to the Irish rates (currently 21.5% and 13.5%). However it integrates very nicely with the rest of Microsoft Office including any Windows Mobile based smartphone you might have (i.e. the business contacts and calendar appointments synchronise), and its output is fairly slick and professional looking. It also reminds you when invoices and such are due so you know who to pester, and it'll even synchronise its bank accounts with your own business bank accounts if your bank supports Microsoft Money transaction downloads (Ulster Bank do support this). The Pro version which costs money can do extra stuff like Paypal accounting handling though I personally found its import tool to be so broken as to be almost useless (you need to search and replace in the CSV file in a text editor before import ... sigh! ), and the Pro version lets you handle multiple currencies easily which is useful when you're trading with the US and UK. If you have a significant inventory, or you run a manufacturing business or you are running a heavily website shopcart dependent site then you NEED more advanced software which automatically integrates stock management with your website and accounting systems. At this point stuff starts getting fairly expensive, but it's worth it in saving you a lot of running costs. A good small enterprise ERP package can slash 75% or more of operating costs - well worth it! You'd be surprised how many new companies fail to spot very obvious ways of saving money. Firstly, avoid renting office space unless you have a fair few staff to house - most warehouses come with a few offices now, and many businesses need neither warehouses nor offices when their garage and home will do just fine. Just watch out for billing the running costs of your house to the business - it may make accounting sense for drawing up a rental contract in order to keep the Inland Revenue happy (and of course you get some of your living costs paid for tax free). Secondly, most people realise early on that you can't easily share a home phone line between personal and business without running into tax problems - Inland Revenue want you to separate the charges and the easiest way is to have a second phone line with separate number much the same way as the business has separate credit cards and bank accounts. However a second phone line is needless expense if you already have a broadband internet connection - add that second line using VoIP instead where you have a VoIP phone connected to a real Irish phone number and which will appear indistinguishable to a real phone. In fact for ned Productions and the FSF we bought a second hand Utstarcom F1000 off eBay for €50 which plugs seamlessly into your WiFi home network and acts just like a real phone with no other computer hardware required. You then acquire an Irish phone number VoIP account from Blueface @ €34.95/month, iConnectHere @ US$15/month (they will supply you a local phone number in most countries for the same price) or even CallCentric @ US$9/month (even more local phone number options, but their uptime guarantee isn't as good as iConnectHere) and off you go. Definitely better than the €46/month Eircom wants for line rental never mind the few hundred euro for new line installation! Thirdly, go through fixmytax.com and learn off by heart the Irish tax code. Learning off when something is a benefit-in-kind or a taxable relief can save you tens of thousands of euro - while you cannot run your personal car off the company, you can pay for a fair chunk of it out of pre-tax earnings so long as you follow the civil service travel expense guidelines. Many successful single person companies barely pay tax ever - there is a noticeable blip around the €60k-80k earning bracket in Ireland where tax receipts by the government very noticeably drop, effectively making their take home income worth a much higher salary. Best of luck in your new business!